Investing for the future can seem overwhelming or that it’s only for the established and wealthy. It’s an understandable feeling, because for much of history it has been that way. But the investing landscape is changing, and there are more great investment tools available to individual investors than ever before. Due to innovations such as the exchange-traded fund (ETF), even small and less-established investors can access good investing options. 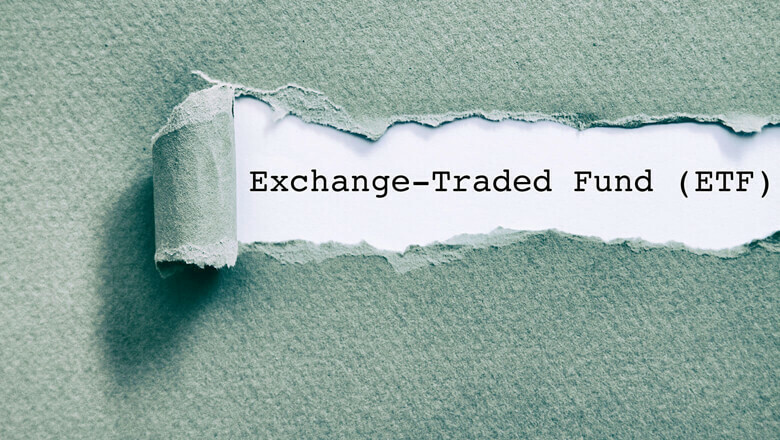 An exchange-traded fund is a basket of securities—so for example, a basket of stocks or a basket of bonds—that give an investor broad access to different markets with a few clicks of a button. ETFs provide low-cost access to most markets, allowing investors to build a relatively low cost and effective DIY portfolios that suit their needs and goals. To use ETFs for your investing goals, it can be as simple as taking some time to understand how ETF trading works. ETFs provide low-cost access to most markets. If you are wondering, “What is ETF trading?” and curious about how it can help you invest like a champ, the following is a primer on how to trade ETFs and why simple ETF trading can be an effective way to invest. For those less interested in the DIY approach, we’ll discuss options for using ETFs with the help of an advisor. An ETF is a fund. A fund bundles many investments together to be bought and sold in one neat and tidy package. The purchase of one ETF provides exposure to dozens or even hundreds of different investments at once. An ETF shares many similarities with the mutual fund, which is the ETF’s predecessor. Both provide access to a wide variety of investments through the purchase of just one fund. They also have several differences. For example, ETFs trade on an open market exchange (such as the New York Stock Exchange) just as a stock does, so it is possible to buy and sells ETFs throughout the day. This is not the case for mutual funds, which trade only once a day, after the market is closed. This provides ETFs with a unique flexibility, which we’ll discuss more below. If there’s a particular market that you’d like to invest in, there’s probably an ETF for it. There are ETFs offered that cover most every market imaginable, including (but not limited to) stocks, bonds, commodities, and currencies. ETFs are usually “passive” investments, which means that there’s no investment manager making decisions about what should or should not be held in the fund. Instead, they aim to provide the average return in the market for which they are invested. For example, an ETF for technology stocks would mimic the returns of technology stocks overall. Sector ETFs: Tracks a sector or industry in the stock market, such as healthcare stocks or energy stocks. Style ETFs: These track a particular investment style in the stock market, such as a company’s market capitalization (large cap, small cap, etc.) or whether it is considered a “growth” or a “value” stock. Foreign Market ETFs: Provide exposure to international markets, both by individual country (for example, Japan) and larger regions (such as Europe or all “developed” countries except the United States). Bond ETFs: Provides exposure to bonds, such as treasury, corporate, municipal, international, and high-yield. Commodity ETFs: Tracks the price of a commodity, such as a precious metal (like gold), oil, or other basic good. Real Estate ETFs: Provides exposure to real estate markets, often through what are called Real Estate Investment Trusts (REITS). ETF trading is quite simply the buying and selling of ETFs. To know how to trade ETFs, it helps to understand how stocks are traded. Stocks trade in a marketplace called an “exchange,” open during weekday business hours, and so do ETFs. Therefore, it is possible to buy and sell ETFs as rarely or as frequently as you could a stock. You’ll be able to buy ETFs wherever you can buy your stocks—usually, at a bank called brokerage house. ome form of this strategy is generally advised for long-term investors who are attempting to invest on their own. Whether you choose a buy and hold strategy or to trade more often, the ease of trading ETFs makes it possible to build a broad, diversified portfolio that’s a cinch to update and change. When it comes to trading flexibility, ETFs can be used in different, more innovative ways than mutual funds. For example, investors can leverage or short markets using ETFs. (These are features for advanced investors.) ETFs also trade in such a way to avoid short-term capital gains taxes, giving investors more control over their annual taxes. Trading: As mentioned, ETFs are easy to buy and sell throughout the day. Prices are updated by the minute. In addition to the ease of trading, investors are able to place special orders (limit orders, etc.) as they could a stock. Fees: ETFs often have low annual fees (called an “expense ratio”) and no sales loads. Brokerage commissions, which are the costs of buying and selling a stock within a brokerage account, do apply. Tax efficiency: Investors are able to control capital gains tax, which is the tax paid on gains made through investing. Diversification: Using funds is an excellent way to achieve relatively cheap and easy diversification within your investment strategy. With the click of a button, you can own hundreds of investments in your portfolio. Are you willing to take more risk to attempt more growth? How will you handle market volatility? Your investment strategy will vary based on your risk aversion and age. Once you have determined your desired asset allocation—that proportional mix of different asset classes—ETFs can fulfill the exposure to those markets. You may also want to consider adding alternative assets to your investment strategy. For example, if you decide that you would like to invest in a traditional mix of stocks and bonds at a ratio of 70% and 30%, you could buy one or several stock ETFs to gain exposure to the stock market with 70% of your money and another few ETFs to fulfill your 30% exposure to the bond market. For diversification purposes, many investors like to have both U.S. and foreign stock ETFs in their portfolios, as well as both government and corporate bond ETFs. You may also want to consider adding alternative assets to your investment strategy: gold and other commodities, emerging markets, and ETFs that invest in real estate. Once you’ve determined your desired allocation strategy and purchased the appropriate ETFs, upkeep throughout the year is necessary. This could mean “rebalancing” your funds once a year or utilizing a more active approach. ETFs provide the flexibility to pursue any number of investment styles, philosophies, and techniques. Though a DIY approach to investing using ETFs is certainly doable, many investors prefer to have the help of a professional. The right professional can provide guidance throughout the investment process while getting to know your personal financial situation. They’ll help you design a portfolio that will put you on a path to reach your investment goals, rebalance your portfolio, and manage your investments from a tax standpoint. If you want to both invest in broad, low-cost, diversified ETFs and have the support of investment professionals, check out SoFi Invest. SoFi utilizes the modern technology of ETF investing while providing a real live human advisor to answer questions, at no extra cost. For many investors, it will truly be the best of both worlds. SoFi Wealth LLC and its affiliates cannot guarantee future financial performance. The information provided is not meant to provide investment or financial advice. Investment decisions should be based on an individual’s specific financial needs, goals and risk profile. Asset allocation can help reduce some investment risk. It cannot guarantee profit or protect against loss in a declining market. SoFi does not render tax or legal advice. Individual circumstances are unique and we recommend that you consult with a qualified tax advisor or attorney for your specific needs. The SoFi Wealth platform is operated and maintained by SoFi Wealth, LLC, an SEC Registered Investment Advisor. fund’s prospectus or other offering documents.